The first on my list is 'bestie' and it is commonly used in Nigeria. 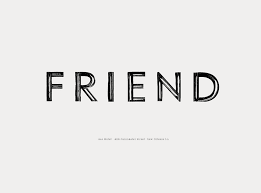 It is an informal way in which you can express the word, 'friend,' therefore most commonly used by youths and teenagers while chatting with each other. e.g. He is my bestie. 'Mate' as another way of expressing the word, 'friend' is most commonly used in the United Kingdom, Australia and New Zealand. Although this is not a new word to Nigerian learners of English, only a handful of them are aware of the fact that it also means 'friend.' e.g. Tammy is my best mate. Referring to someone as your 'bezzie' simply means that the person is your best 'friend.' Also, there are variations of this word such as 'bestie',or abbreviations like 'bff (best friend(s) forever)', 'bffl(best friends for life)'. Though this word would generally be understood all over the English speaking world, its variants(bestie, bff, bffl) are most commonly used in Nigeria, especially by the young ones while chatting with their peers on social media. Although mostly used in the United Kingdom, this word and its meaning are not new to Nigerian learners of English(especially the youths) as one will always see an expression such as 'good morning pals' on their Facebook walls when greeting their Facebook friends. It is globally understood but not commonly used in Nigeria. 'Buddy' is mostly used in the United States to mean 'close friend' and it is also understood by other English speaking world to mean the same thing. However, in the United Kingdom, it is a popular boy dog's name. This word is often shortened to 'bud' which still means the same thing.